The average cost of memory care in Washington County is $3,830 per month. This is lower than the national median of $4,650. To help you with your search, browse the 8 reviews below for memory care facilities in Washington County. On average, consumers rate memory care in Washington County 4.4 out of 5 stars. Better rated regions include Carroll County with an average rating of 4.8 out of 5 stars. Caring.com has helped 10 families in Washington County find high-quality senior care. To speak with one of our Family Advisors about memory care options and costs in Washington County, call (855) 863-8283. Washington County, Maryland, has a relatively large population of 150,578 people, just 16.8 percent of whom are seniors aged 65 years and older. Within that senior population, 10.6 percent are people with Alzheimer’s disease or dementia. In Washington County and throughout the rest of Maryland, memory care facilities are called Assisted Living Programs (ALPs). They are licensed by the Department of Health and Mental Hygiene. Washington County residents with dementia can choose from among the region’s five ALPs. Seniors in Washington County can take advantage of tax breaks to maximize their retirement wealth. Maryland does not tax social security income, and only partially-taxes retirement accounts and public pension incomes. Private pensions, however, are subject to the normal tax rate. Certain beneficiaries, such as spouses and children, are not charged taxes on inheritances. Washington County is home to world-class medical facilities, including those specializing in brain health and dementia care such as Washington County Hospital, in the event of medical emergencies or illness. 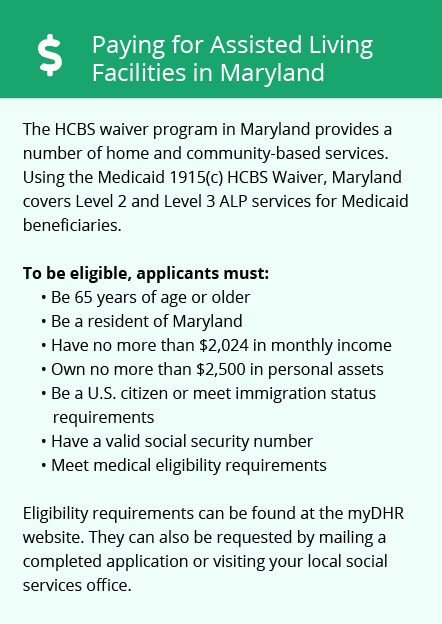 Seniors who need memory care services will find Washington County an affordable option compared to the rest of Maryland. The cost of living in Washington County is rated 99, one point lower than the national average and a full 26 points lower than the Maryland average. The median home cost is also lower at $183,400 compared to the median state cost of $282,000 and the median US cost of $216,200. Groceries make up the most expensive spending sector, at 3.8 points above what the rest of the country pays on average. Washington County gets plenty of sun, with an annual average of 197 sunny days. This is just slightly less than the national average of 205 days. Summers are hot with an average mid-summer high of 86 degrees, and winters can get cold with an average January low of 21 degrees. Seniors can work with their memory care providers to find solutions that lessen the effects of the temperature extremes. Memory Care costs in Washington County start around $3,830 per month on average, while the nationwide average cost of memory care is $4,799 per month. To see a list of free memory care resources in Washington County, please visit our Assisted Living in Maryland page. 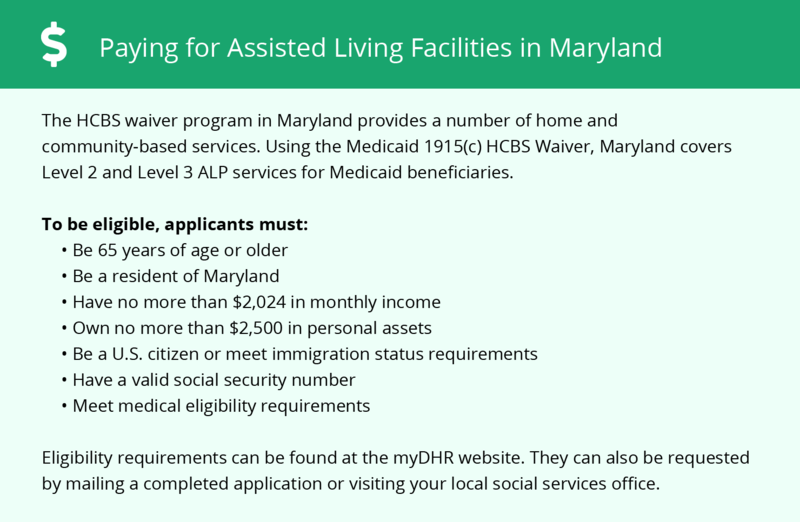 Washington County-area assisted living communities must adhere to the comprehensive set of state laws and regulations that all assisted living communities in Maryland are required to follow. Visit our Memory Care in Maryland page for more information about these laws.